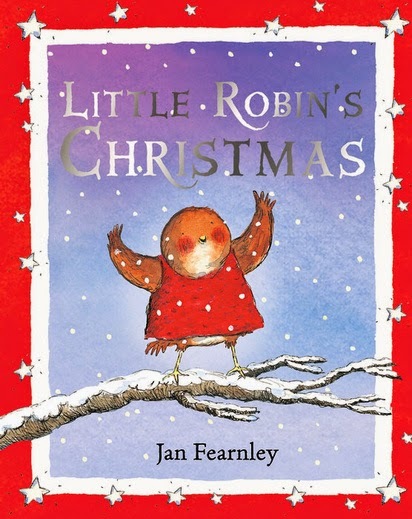 Little Robin's Christmas is a perfect book to share in the run-up to Christmas, not only are the illustrations beautiful & captivating, the story has a heartfelt message for all, no matter how old you are. The story is set a week before Christmas & begins with a little robin ironing his many colourful vests ready for the frosty days ahead. Every day he sets off from his house ready for a new adventure wearing a different coloured vest, & every day he comes across a fellow creature in need. Little Robin then kindly offers his vest to the animal who is suffering from the cold, & they gratefully accept his generosity. He continues to give his vests away until on Christmas Eve he has just one vest left. He meets a mouse shivering from the cold & so gives away his last vest. But he's a long way from home, & the snow is falling, so he huddles up to get warm & soon falls fast asleep. Later something magical happens when a man with a white beard & red suit picks up the robin & takes him home. The man in red knows all about Robin's generosity & is so proud of him that he asks his wife to make him a very special present, telling Little Robin; "You are full of the spirit of Christmas." The wife knits Robin a special red vest, which will not only keep him warm forever, but will make others feel warm when they see him. Robin's chest glows with pride as the man in red takes him back to his home on Christmas Day, & Robin sits high in the tree to sing "Merry Christmas" to everyone. I love this book for so many reasons, the stunning, warm & humorous illustrations (the drawings of the vest being stretched by animals larger than the robin are sure to raise a smile) & the flow of the text with the countdown of the vests & days encourages children to join in. 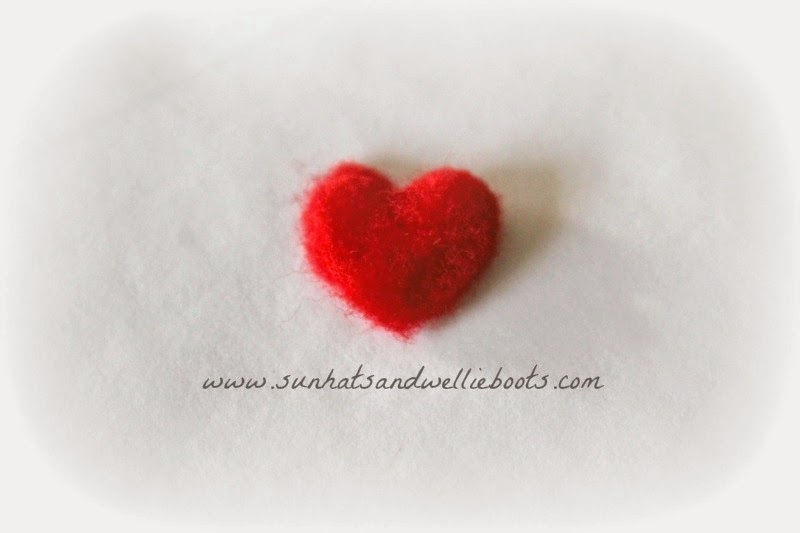 But what I love most is how one simple story book can so effectively share the values of kindness, compassion & empathy, & that no matter how small you are, you can make a big difference. 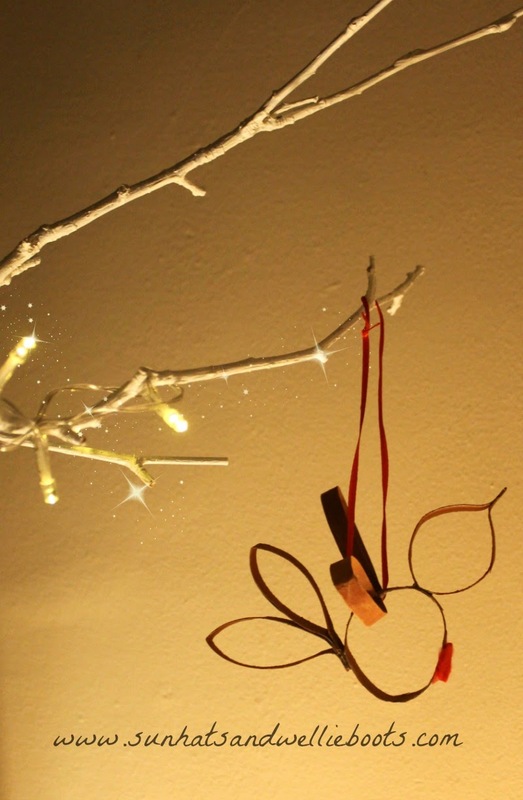 We wanted to make something simple that we could share with friends this Christmas, so we made these robin decorations, each with a red heart to remind us of the kind-hearted Little Robin in the story. 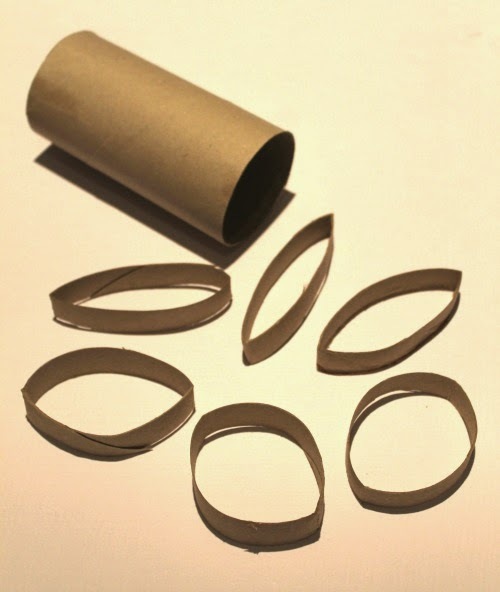 To start we cut our cardboard tube into six sections. Don't worry if the sections aren't all identical, they just need to be roughly a similar size. 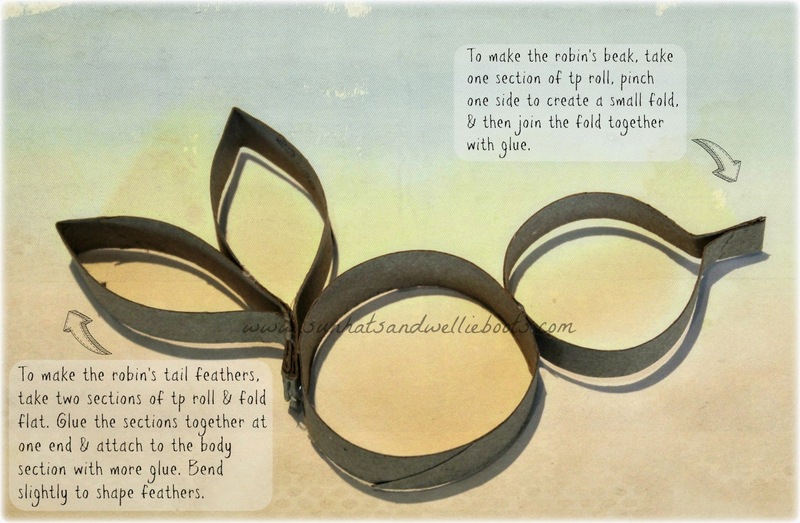 To make the tail feathers we joined two of the sections together as shown in the picture below & attached these to another section of TP Roll that would become the robin's body. 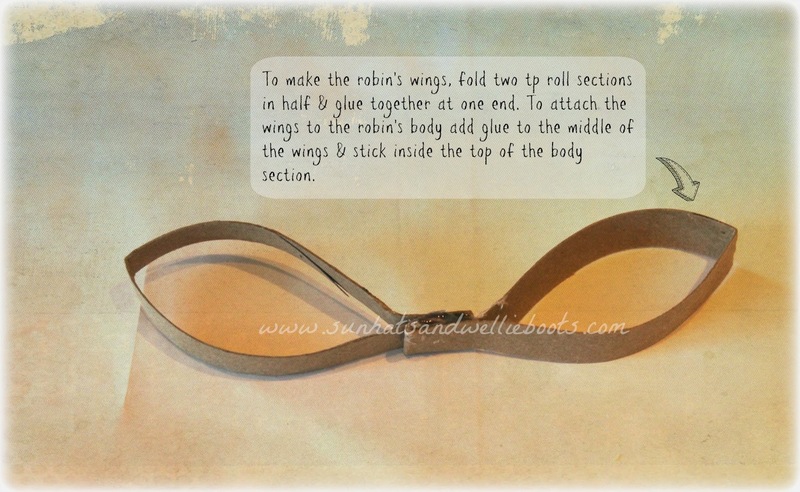 To make the robin's head & beak we took another section & folded as shown in the picture, then attached it to the body. 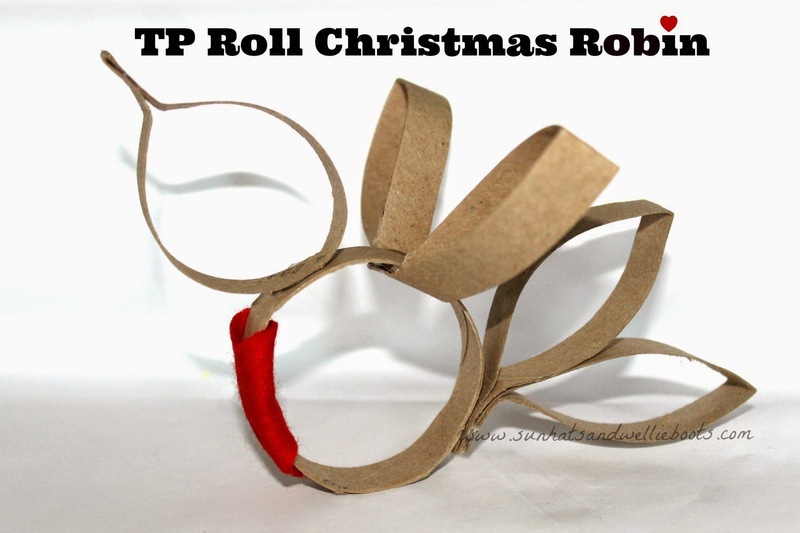 We glued the last two sections of TP Roll together to create the robin's wings & attached them to the inside of the body shape to make it look like the robin was flying. You could leave your robin as he is, but we decided to paint ours with some brown watercolour paint. Once dry our little robin looked like this. All he needed now was a heart. We cut a small heart out of some red felt & glued to the front of the robin's body to give him his famous red breast. 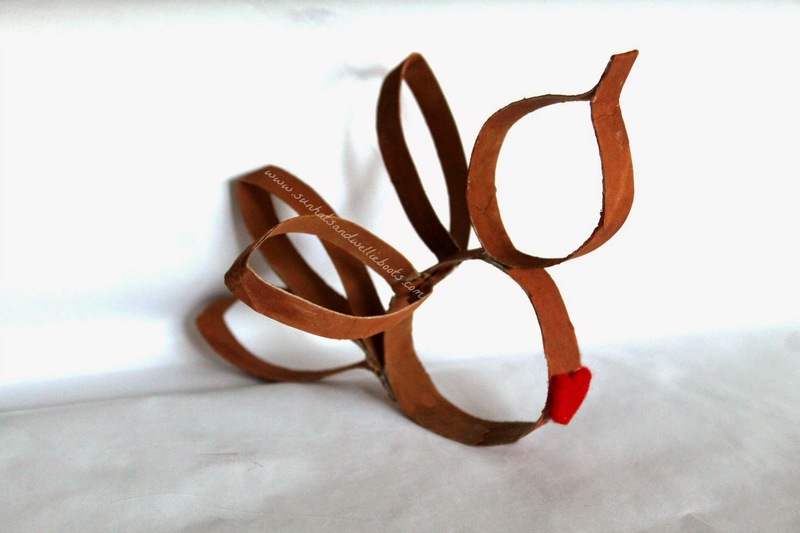 Once dry we threaded some thin red ribbon through the body & he was ready to fly off to a new home. What's been great about giving these little robins as gifts is that we've been reminded of the story in doing so. In sharing a simple gift we've been able to share a little joy & bring a smile to someone. 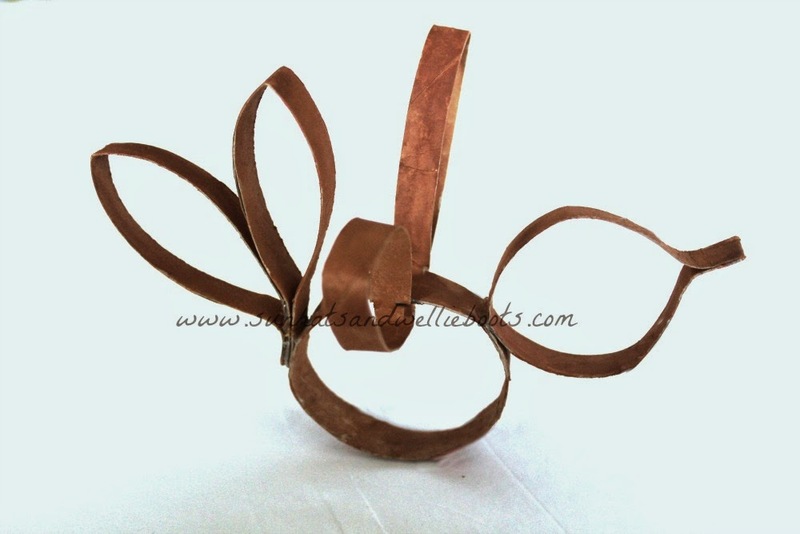 These frugal little upcycled robins take minutes to make & can be decorated in any number of ways. Why not share a little Christmas spirit this season & make one of these for a neighbour or friend? 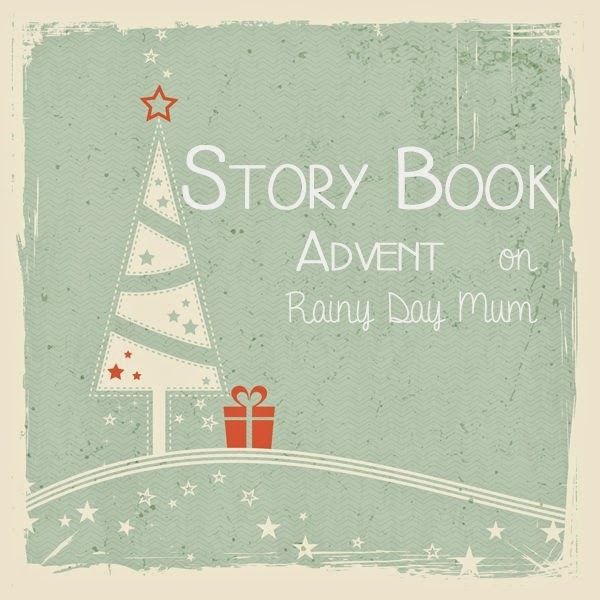 We're thrilled to be linking up to Story Book Advent 2014 with Rainy Day Mum. 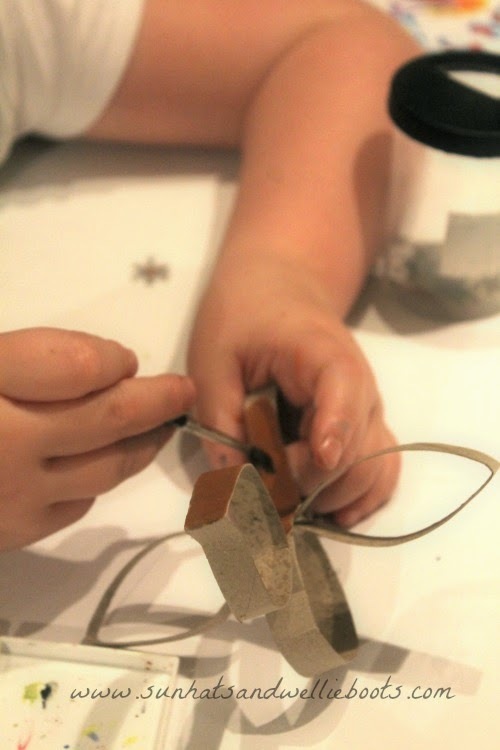 Each day she'll be sharing one of 24 story books & activities from bloggers all over the world as we countdown to Christmas. Click on the image below to find out more & discover some amazing books, & bloggers too.